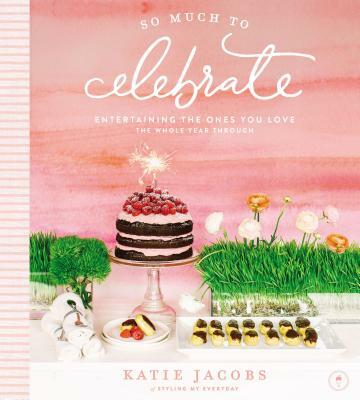 Brimming with creative party themes for every season, inspiring d cor ideas, and delicious recipes, So Much to Celebrate is the perfect book for anyone who appreciates good times, good food, and good celebrations. Katie Jacobs is a stylist for Reese Witherspoon's lifestyle brand Draper James, Pottery Barn, and Beaufort Bonnet Company, among others. A fourth-generation Nashvillian, she's been featured in Martha Stewart Living, Southern Living Weddings, Nashville Lifestyles as well as on Inspired By This, Fashionable Hostess, and The Scout Guide. Katie is also a photographer, graphic designer, and foodie. Learn more on Katie's food and lifestyle blog, StylingMyEveryday.com.